Honed & Filled Roman Classic – Travertine that graced the homes and palaces of Kings, Queens and Emperors alike; ours are chosen from the exquisite Ionic Stone travertine range, great quality, beautiful finish. 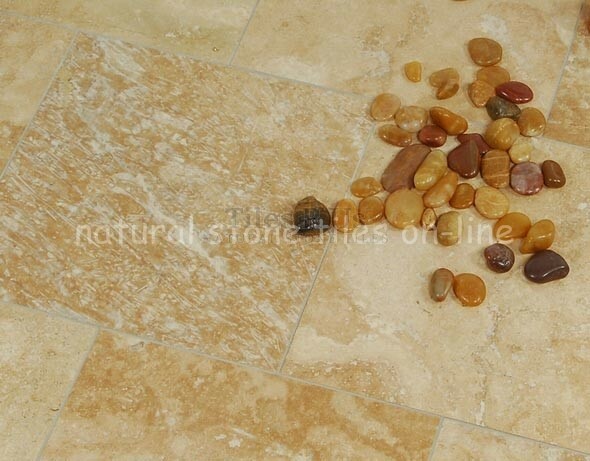 A natural mixture of beige, creamy coffee and browns this tile has the full range of travertine colours, the patterns and colours are completely random - exactly as nature made the stone during it's formation. It is also a hard travertine. Honed & filled finish provides a surface, which gives a minimal 'look & feel' of the texture that is evident in tumbled or brushed tiles.